Solar LED lights are the future! Parking lots are outdoor, cover large areas and could benefit fully from smart monitoring and control technologies. This makes them the ideal candidate to take advantage of new clean energy technologies in the form of smart solar LED lights, while saving sufficient amount of funds in the process. Currently, most parking lots are lit with traditional (on-grid) sodium street lights. They are inefficient and pollute the environment. Massive efforts are being made world-wide to replace traditional street lights with LED lights. While LED technology alone offer many benefits, solar powered LED lights might be even better, more efficient solution for parking lots. Here are some advantages of solar LED lights compared to traditional, on-grid lights that may raise the eyebrows of parking lots owners and municipalities. LED lights cost few dollars more than incandescent bulb. However, over its lifespan, LED lights have higher return on investment. On average, LED bulbs last 10 times longer and are more than 5 times more efficient than traditional sodium lights. For example, you would need to buy 10 traditional lights and pay 5 times more for electricity compared to one LED light. Over the life span of one LED light, buying one traditional light would cost at least 5 times as much. Solar LED lights are even more efficient, as they are powered by solar energy, so there are no operational energy costs. By multiplying the power of the each street light unit with the number of operating hours and the price of kilowatt-hour, the cost of energy usage can be calculated. Typically, the cost is around 10-20 dollars per month for each unit. If you multiply this amount by the number of installed outdoor lights in a parking lot, you will calculate the total amount of money allocated to outdoor illumination for your parking lot. By installing solar lights, you will accumulate energy savings (0 electricity costs) while having LED light efficiency which will decrease your maintenance and servicing costs as well. Solar street lights can be equipped with smart technology for 24/7 real-time monitoring and control of all system components and light performance. This would enable lighting operators to have access to each solar light unit in real-time. Such remote management tools can solve various issues and reduce maintenance costs by up to 80%. Smart technology allows operators to set up lighting schedules and turn the lights on and off remotely. Smart solar street lights can also integrate smart gadgets that are powered free of charge. Gadgets can be used as anti-theft devices or/and as data collection sensors for data banks or internet of things. Motion and traffic sensors could detect peak hours and the most occupied parking spots. They could show where and when most traffic is detected on a street or a parking lot. Check out our webinar below if you want to see how you can make your solar street lights functional 365 days. The need for luminosity is why we get lights in the first place. While watts measure the power used by the bulb, luminosity is the measurement of the actual brightness produced by the bulb. Traditionally, the number of watts was used as an indicator of the brightness of a bulb. LED lights turned this convection upside down. They are 4 times as efficient in turning watts to lumens compared to ordinary street lights, meaning less energy usage for the same brightness. With smart technology, you can achieve higher control of the outdoor lighting system. You can literally control the amount of brightness from your office. Different parts of the parking lot can be illuminated differently at different times. 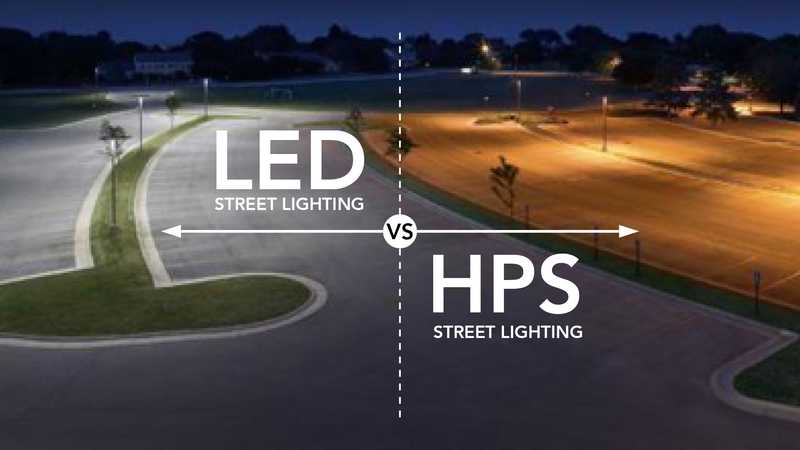 Illuminating areas of the parking lot on demand would contribute to much higher energy efficiency. The environmental advantages of solar street lights are more than obvious. Regular street lights are connected to the grid which is ultimately powered by fossil fuels in most cases. The burning of fossil fuels pollutes the air, causing a health hazard as well as increasing the concentration of green-house gasses which lead to global warming. Solar energy is clean, renewable, with no harmful side effects. In time, fossil fuels will grow scarcer which will increase their price. On the other hand, more research in solar energy can only lower the costs as time goes by. To read more on why solar street lights are environmentally friendly, click here. Parking lots require different brightness levels at different times. Why? To save money and increase their energy efficiency. Most parking lot owners are aware of their peak times and periods with lower frequency of movement. The remote management software functions integrated into smart solar lights are an ideal solution for such environments. Data collection can improve the parking lot energy efficiency and make sure the parking space is used to its full capacity. The installation of solar LED lights costs much less than the installation of traditional on-grid lights - especially when the electrical grid needs to be extended to remote locations. With smart solar lighting systems in place parking lot owners will benefit from increased energy efficiency, better luminosity, lower maintenance and servicing costs and optimized data required for smarter energy management. Smart solar street lights return on investment is 5-7 years, when the remote management software is used to its full capacity to optimize the solar lighting system in terms of energy generation and usage.